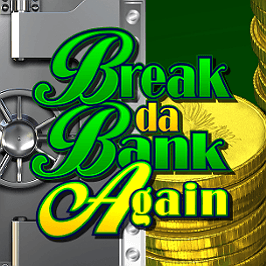 You’ve broken it once, now it’s time to do it all over again in the Break Da Bank Again slot from Microgaming. This heist-themed slot machine is the sequel to the very popular Break Da Bank slot and is played on five reels and nine paylines. It’s new and improved, and has the volatility, simplicity and win potential to be at least as successful as the first one. Bust your way through to the big wins with massive Multipliers, Wilds and Free Spins. 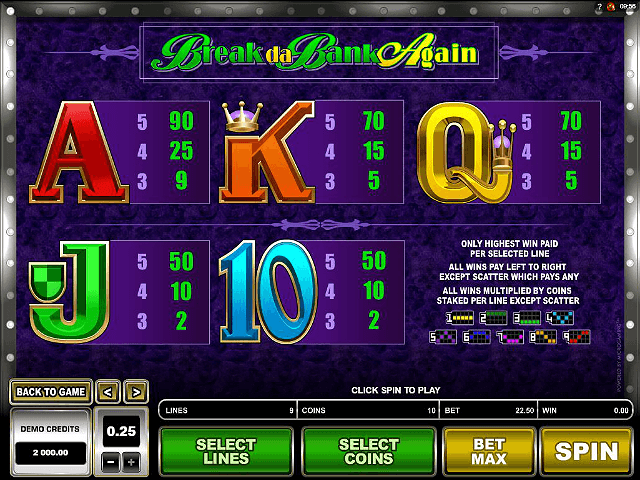 Get the lowdown on the Break Da Bank Again slot in this slot guide. 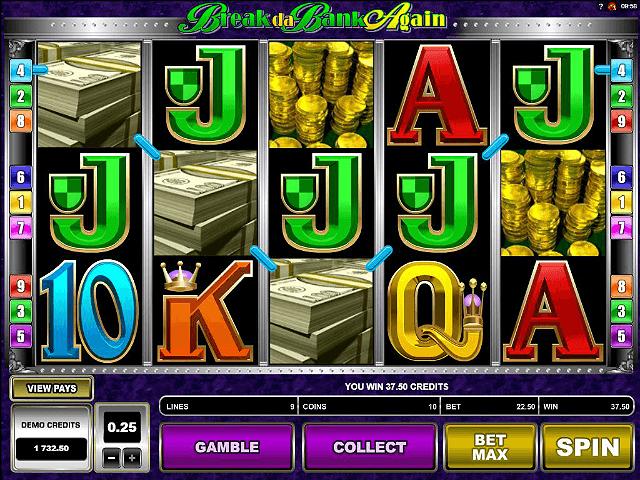 There’s plenty of loot on the reels of this action-packed multi-panel video slot. The graphics are sharp, the sounds suit the theme and the wins are plentiful. Basically everything that you’d expect from a Microgaming title. The game has a solid 95.43% return-to-player average and suits those with lower budgets. It can be played from just 1p per spin up to a maximum of 25p and offers a jackpot of £1,500. 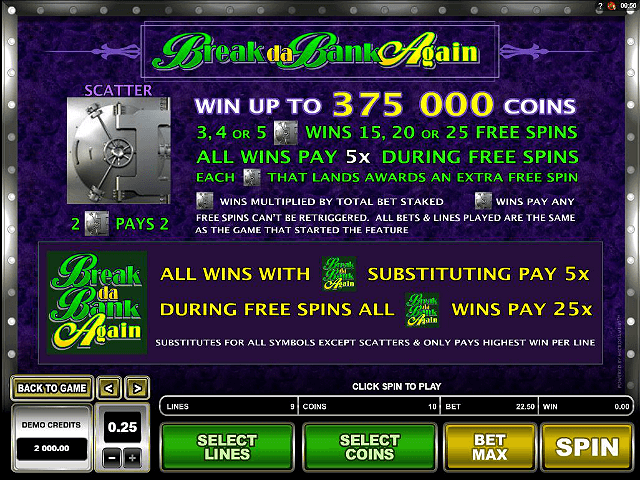 Break da Bank Again incorporates Wilds, Scatters and a Free Spins bonus round to maximise win potential. Bring your tools and a willingness to smash and grab some wins because this game is jam-packed with bank-breaking action. The big bucks come into play with two symbols: the games logo which acts as the Wild symbol, and the Break Da Bank Again Logo which substitutes for other symbols to create winning slot combinations, and multiplies regular payouts 5x. The bank vault image represents the Scatter symbol. Hit two bank vault symbols anywhere on the reels and you’ll be awarded a payout, even if they’re not on a pay line. Hit more than two bank vaults and you trigger the bonus game. The reels are populated with other bank-themed symbols including a pile of gold coins, a cheque, a stack of cash, a pile of gold bars and a purple jewel. These are of higher value, while the average-valued 10, J, Q, K, and A symbols complete the lineup. It’s time for a robbery. The Free Spins are triggered by landing three to five Scatter symbols anywhere on the reels: this will award you with 15, 20 or 25 Free Spins with all wins subject to a 5x Multiplier. If you land the bank vault Scatter during the Free Spins bonus game you’ll be awarded an additional Free Spin. If you land the Wild symbol as part of a winning combination during this phase, it’ll multiply the line bet by 25x. All wins will present an opportunity to double your winnings with a standard red/black card prediction in a gamble feature. If you’re feeling lucky then you have the chance to quadruple your win by predicting the next suit. 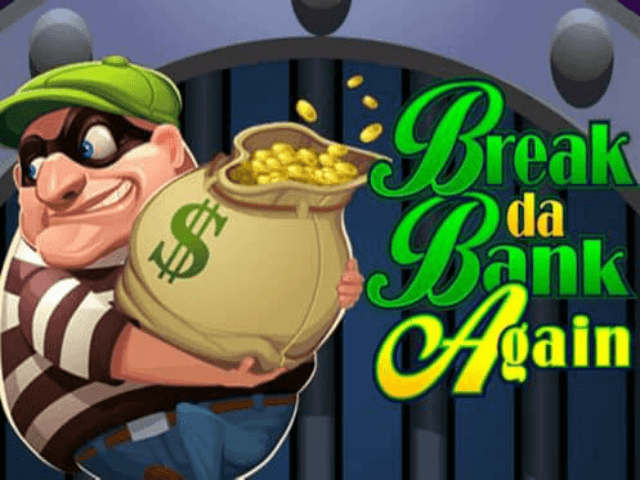 If you’re looking for an exciting slot that’s accessible, fun to play and offers some decent jackpot features, then you can bank on Break Da Bank Again to (re)deliver the goods. If you like Break Da Bank Again - You'll like these slots too!